At Thompsons Solicitors, we believe that the one and only purpose of personal injury compensation is to support the victims and their families. It is our conviction that the law should always be as fair as possible, and if any recompense awarded is not enough to sufficiently ease the suffering of the victim, or if the damages are significantly reduced by high legal fees, then this is not fair. So the laws surrounding the compensation should be amended. This is why, as a firm, we have always welcomed any change to the law that aims to improve the difficult situation facing the victims or injury, and we ourselves have campaigned for such changes to be made. The principle of campaigning to reform the law on behalf of the victims was championed by our late joint managing partner (as well as the former president of the Society of Solicitor Advocates) Frank Maguire, who worked tirelessly to give a voice to those treated unfairly by the law. This goal is one shared by all our lawyers, and it is a core belief that we pride ourselves on as a firm. Back in 2009, Frank Maguire welcomed moves by MSP Bill Butler to reform the law covering compensation for wrongful deaths, agreeing that it was "an area of the law which is long overdue for a major overhaul". Maguire went on to explain his view: “There is something far wrong with a system that makes the families of victims jump through all sorts of legal hoops to get rightful compensation for their loss. We believe that his comments capture our whole ethos as a firm and the reason why we strive so hard to improve the law for victims and their families.Butler launched a Members' Bill to update the legislation for wrongful death cases, which can include deaths at the workplace or in road traffic accidents. The changes proposed by the Bill were based on a number of recommendations the Scottish Law Commission made with a view to reforming the law in this area. The main proposal was to standardise the assumed living expenses that are deducted from a victim's compensation. This is because a standardised rate helps avoid unnecessary litigation, benefitting both the victim and the employer. On the intended goals of the reforms, Butler, who was Glasgow Anniesland MSP at the time, said, "I want to provide justice and dignity for victims and their loved ones.The current system can be improved so that it provides a fair level of compensation in cases of wrongful death without the need for unnecessarily long and distressing court cases." He added, "We should all be able to agree about making the law fairer." At Thompsons, we couldn't agree more. The bill was passed by parliament in March 2011 as the Damages (Scotland) Act 2011, garnering a lot of enthusiastic support from many. Professor Joe Thomson of the Scottish Law Commission said: "This bill clarifies, simplifies and modernises the law of damages for wrongful death. The law is continually changing, and it is Thompsons' mission to see it change for the good of the victims of personal injury. We will continue to support reforms that help those struggling with the injury or illness their accident has left them with. If you've suffered as a result of negligence, our compensation lawyers have all the necessary knowledge and expertise to help guide you through your claim. We only represent victims of personal injury and so are experienced in handling a diverse range of cases. 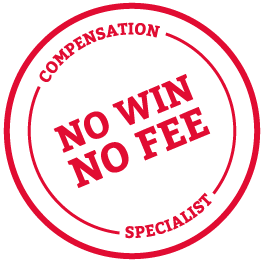 In the majority of cases we take on, we are able to offer our clients a No Win No Fee package, ensuring that they won't have to pay any unnecessary fees if their claim is unsuccessful. To take the first steps towards claiming compensation today, call 0800 0891 331 today to have an initial discussion about your case with a specialist lawyer.